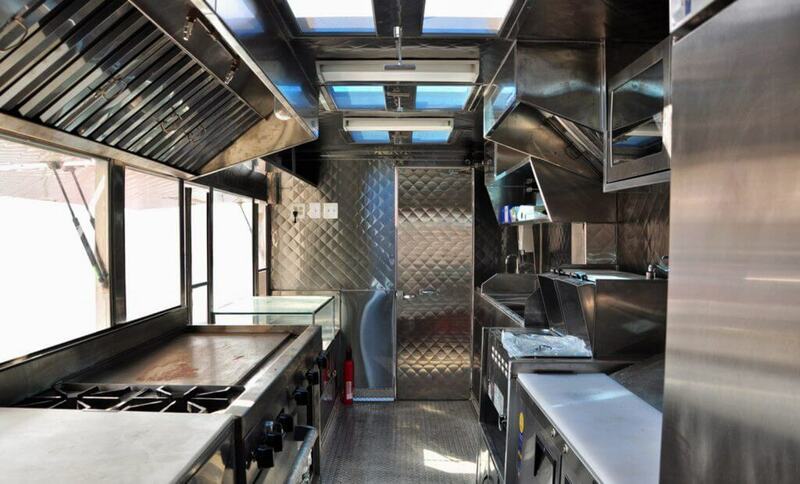 You might by temped to clean the hood and kitchen of your food truck yourself or rely on an employee, but do you really have the time? Aside from the intensive prep work, you have to buy chemicals and store them properly. You really should check with your insurance company on their preferences as well as the local health department in Wichita, KS. Wichita Hood Cleaning Pros specializes in cleaning any and all commercial hoods. We work with several vendors for their food truck hood cleaning. 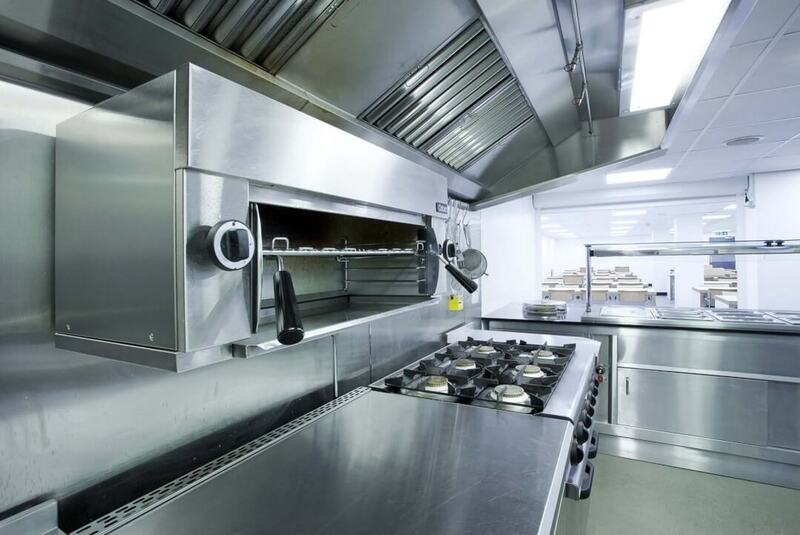 We also do schools, hotels, universities, churches and of course large commercial kitchens. Our professionals will start by covering all surfaces near the area with plastic to prevent any staining on walls and floors. We then remove all of the exhaust filters and grease pans and pour off excess grease (we use our own disposable grease containers - one more headache you don't have to contend with). We will wipe off the excess debris and grease from each filter and pans then coat with the degreaser with a brush to gently scrub off the excess debris and grease. After immersing in hot water, we will let the pieces soak while we clean and degrease the exhaust hood. We will then completely dry and reassemble your hood. Food truck hood cleaning should be done on a monthly basis. Because of the closed space, grease and debris build-up can occur quickly. In addition to your daily and weekly tasks, it is important to have a company that specializes in degreasing to come in and get into those hard to reach places. For instance, you should have the stove and fryer pulled out to clean the walls and the floors. This does not have to be done every day as it takes time for the grease to build up. If you do not, however, clean on a regular basis, grease can build up and now your food truck has become a rolling fire hazard. Wichita Hood Cleaning Pros will work on your schedule. They understand that when your food truck is down, your income is down. We will perform a professional food truck hood cleaning when your truck is not in use. Keep in mind, your clients are looking at your kitchen through the truck and will make a decision on wether they will order if it does not appear to be cleaned completely. 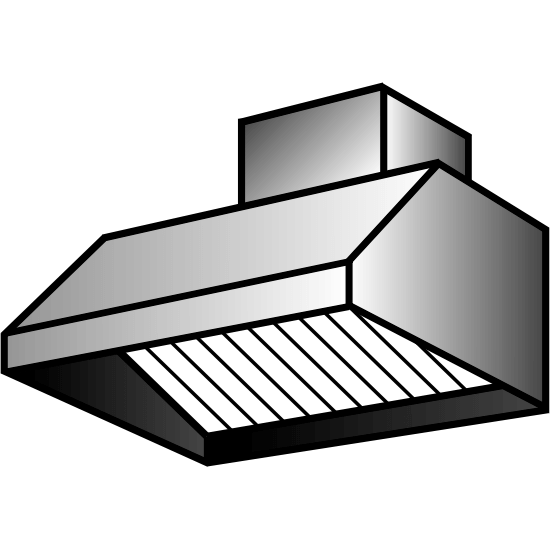 Our professionals will also take pictures for you to submit to the insurance company and health inspectors. With a regular cleaning schedule, you can be assured your equipment will run at its top capacity (and that is important when you get a rush of hungry clients). Call Wichita Hood Cleaning today at (316) 217-9169. We are licensed, bonded, certified and fully insurance for food truck hood cleaning.